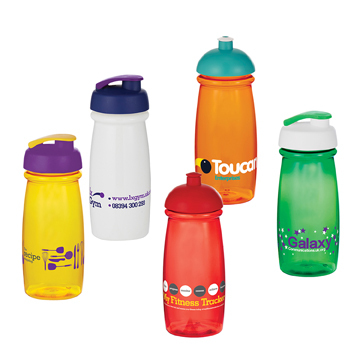 The Pulse Sports Bottle has a fantastic shape, ideal for use in the gym, at sporting events, or even just at leisure. Available in four strong translucent colours, plus solid white, with a fantastic wraparound branding area. Make your selection of either a domed or flip lid, and then choose your colours to match you brand - you can keep to one colour or mix and match! BPA free, 600ml capacity.